This heavy-duty one-piece all steel Tamper will get the biggest jobs done! The 10" x 10" square head creates a strong base for flattening and leveling asphalt, dirt and other materials. The tool is designed as one piece for rugged professional use. Steel pipe construction features welded gussets for increased strength. This 23 pound tamper makes an impact with some maneuverability. 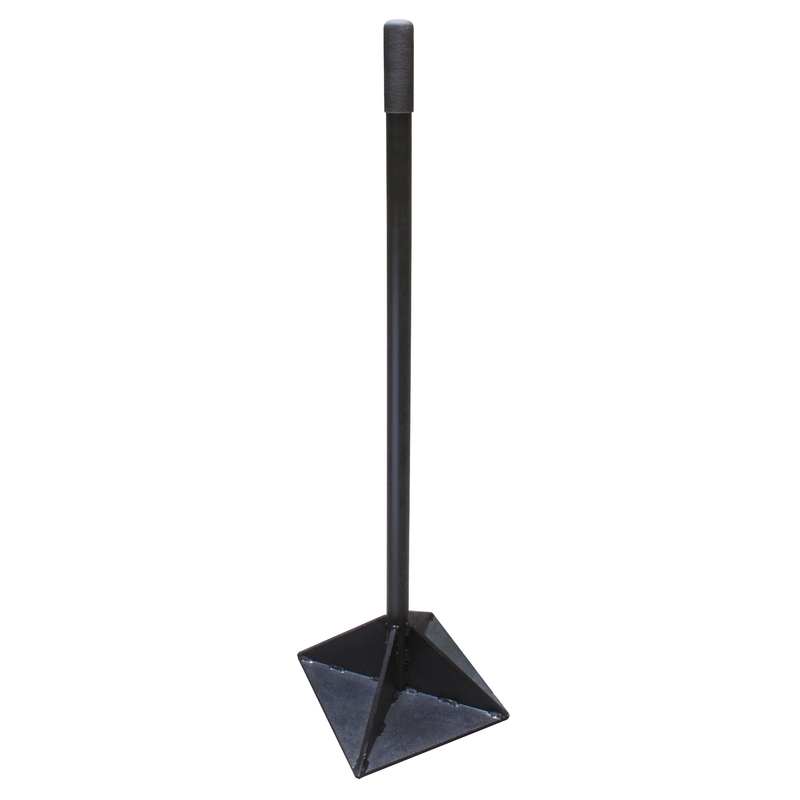 The tamper stands 48" tall with a rubber end grip for comfort. Ideal for fixing pot holes. Proudly made in the USA.